New Snoqualmie Watershed Poster available free! The Snoqualmie Watershed Forum has extra copies of the 2015 Snoqualmie Watershed poster, featuring the winning entry from last summer’s photography contest, “Focus on the Snoqualmie.” The poster is free while supplies last. Danny Raphael’s winning photo shows a dramatic Mt. Si at sunset with a foreground of plowed fields. Raphael, a North Bend resident since 1998, was awarded a framed copy of the poster at a Snoqualmie Watershed Forum meeting. Raphael is a self-taught amateur photographer whose favorite subjects are Mt. Si and family members. 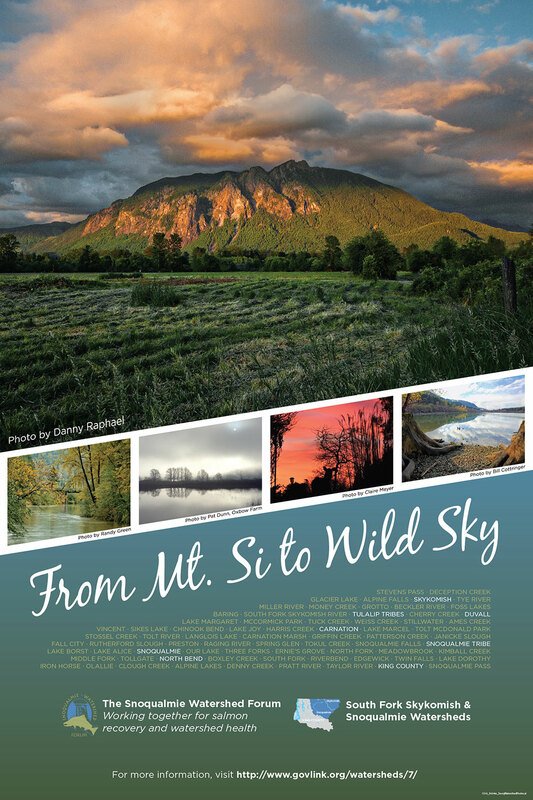 Four additional entries were also incorporated into the poster design: photos by Bill Cottringer of North Bend, Pat Dunn of Oxbow Farm, Randy Green of Carnation and Mount Si High School sophomore Claire Meyer. 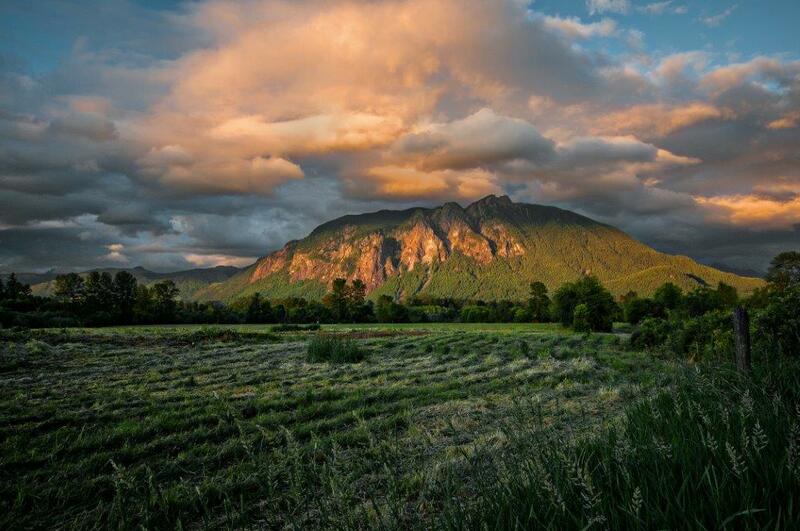 The photo contest and poster celebrate the Snoqualmie Valley and everything residents cherish about it and hope to protect. The poster will be distributed throughout the watershed for display in libraries, businesses, schools and community locations. To request copies, contact Maureen Dahlstrom at 206-477-4777 or maureen.dahlstrom@kingcounty.gov. And let Maureen know if you have ideas about getting the poster out to a wider audience in the Valley. The contest is sponsored by the Snoqualmie Watershed Forum which has provided leadership since 1998 in working toward a healthy watershed for salmon, farms, forests, and urban and rural communities. Comprised of five cities, the Snoqualmie Tribe, Tulalip Tribes, King County, interested citizens and non-profits, the Forum operates in harmony with the culture and community needs of the Valley. How well the photo captures the qualities that motivate the community to protect watershed health (e.g., people or community, farming, plants and animals). How well the photo represents the multi-cultural and diverse nature of the watershed's communities. Appropriateness for inclusion in a poster for public distribution.